This a SPAM message. Please check our verification section below for details. My friend’s friend Son…. 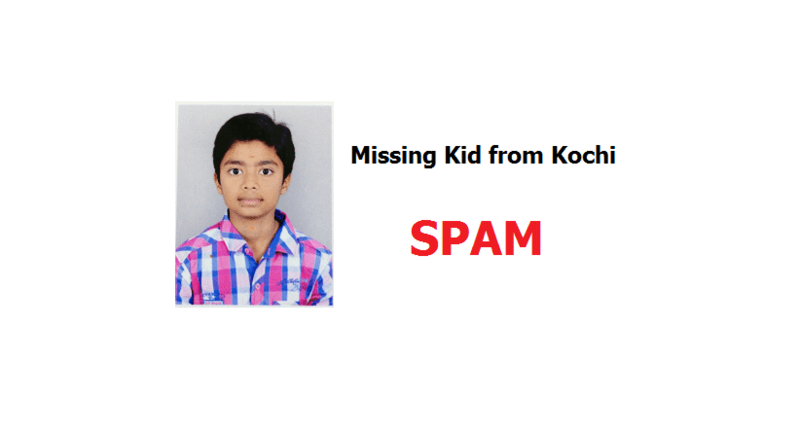 missing from kochi since last evening. 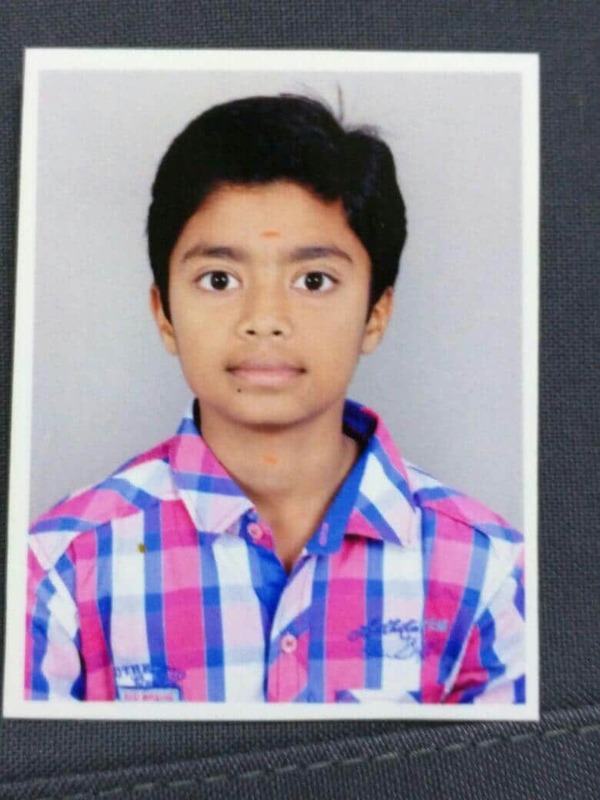 Name Prajith studying in 7th std.. please help us find him….kindly circulate in groups……Pl fwd to all known contacts. Your fwd will help to find him asap. 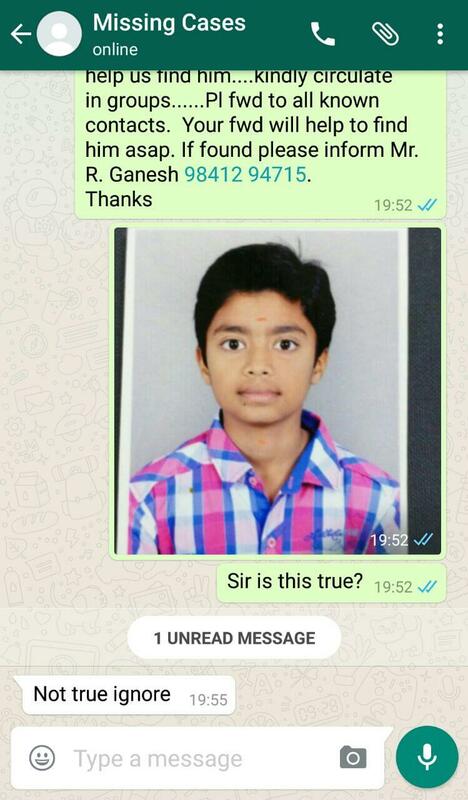 If found please inform Mr. R. Ganesh 98412 94715. 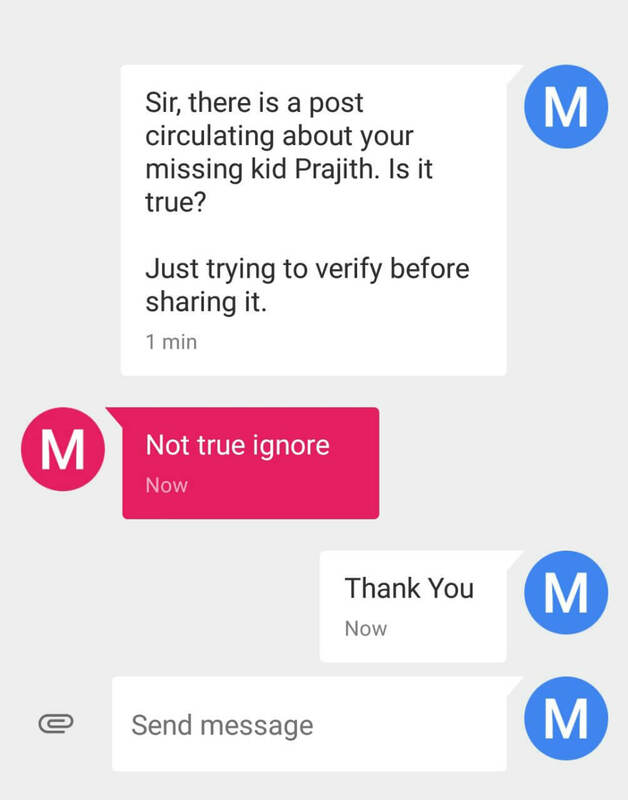 We received a reply from the above given number saying that its NOT TRUE.